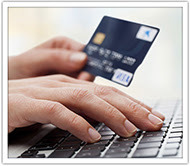 Online Holiday Shopping Do's and Don'ts - The Mortgage Place, Inc.
DON'T: Click links from unfamiliar websites. Even if the deal is too good to pass up, it could lead to a "phishing" scam. DO: Enter the website's address into your browser, and check any related reviews or forum mentions of scams. DON'T: Neglect your passwords. Fifty-three percent of smartphone users don't utilize the password or PIN function for locking phones. DO: Take advantage of the password feature and keep your information secure in the event that your phone is stolen. Also, make sure you can wipe your data from a remote location. DON'T: Download holiday apps from unfamiliar websites, and give your permission for the app to have unlimited access to information. DO: Make sure your apps are downloaded from trustworthy sources such as the Android Market, Apple App Store or the Amazon App Store. Ensure that requests for information make sense for the app's purpose. Always read user comments before installing. DON'T: Buy all your holiday gifts online using unsecure, Wi-Fi connections. DO: Window shop to your heart's content on public connections, but wait to buy until you can get to a secure connection at home or the office.